​You will be expected to wear a full Gracie Barra uniform to attend our regular BJJ and No Gi classes which can be purchased through us. If you do not have a Gracie Barra uniform then you can wear shorts/tracksuit bottoms and T-Shirt/rash guard until you purchase one. 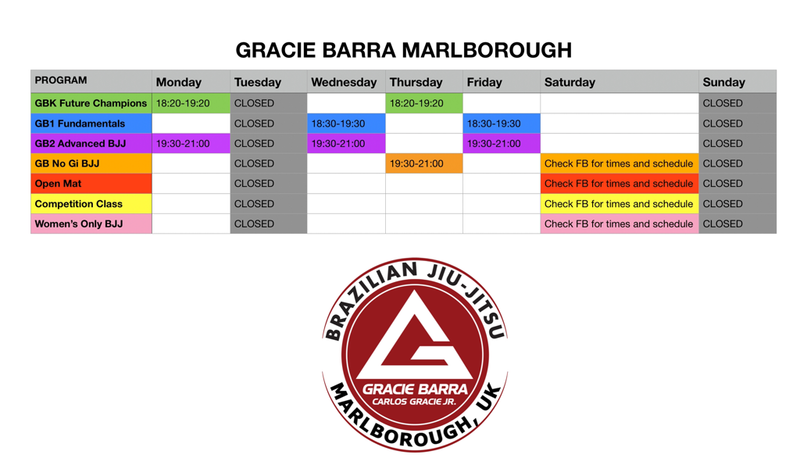 At Gracie Barra Marlborough we offer our Future Champions Kids class every Monday from 18:20 - 19:20. Brazilian Jiu Jitsu is great for kids. It helps build a strong set of values, a solid character and helps them persevere to achieve their goals. Children from 4 years upwards all benefit from the core values of BJJ like focus, discipline, persistence, self defence and team work while learning the meaning of cooperation and respect. Following the Gracie Barra Future Champion's Curriculum we use fun games, drills and technical demonstrations to build structure and make every class enjoyable. Our classes see huge improvement's in a child's confidence after a very short period of time. 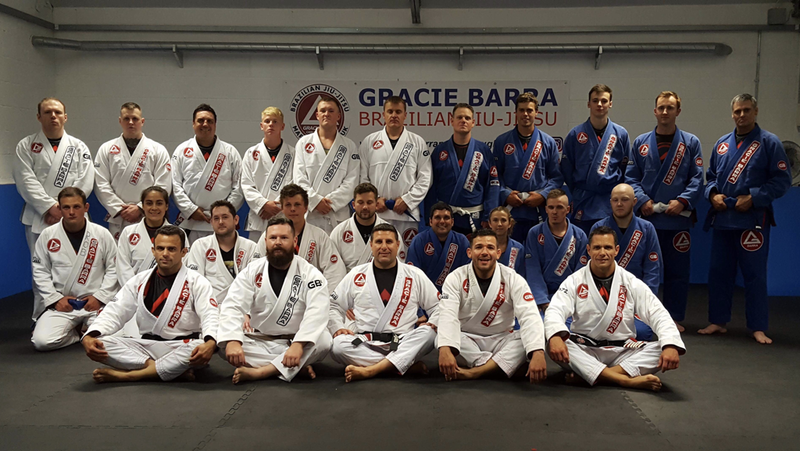 Gracie Barra Brazilian Jiu Jitsu is for any one who wants to learn how to defend him or her self in combat, or learn an exciting and competitive sport with local, national and international competitions available. What most people don't know, is that GB BJJ will also allow you to apply those same principles to fighting the daily battles in life, like weight loss, stress, relationship issues, and self confidence. You will learn how to think through problems more constructively than before, on and off the mats. "Jiu Jitsu For Everyone". This means everyone is welcome to learn GB BJJ, no matter what gender, age, race, religion or disability. On Wednesday and Friday from 18:30-19:30 we run our GB1 Fundamentals class. This class is designed for the beginner and advanced practitioner alike where we practice and drill the core fundamentals to Brazilian Jiu Jitsu and Self Defence technique. Monday, Wednesday and Fridays class from 19:30-21:00 we follow the Gracie Barra GB2 Advanced Curriculum where we drill more advanced BJJ techniques and "ROLL" ( live sparring ). Our Saturday morning open mat class is a great opportunity where students of all ages can attend to either roll, practice/drill certain positions/techniques or use the gym equipment for strength and conditioning training in a friendly and open atmosphere. Instructor Kevin will also be present on these sessions to participate and observe. So come along and join in the fun!